St Baldrick’s UK is a Children with Cancer UK partner! The head-shave events focus on ‘shavees’ asking their friends and family to make donations ‘on their head’. It’s an easy and fun way to raise money for a very serious cause – like a walkathon, but without the blisters! 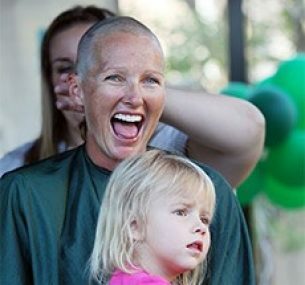 St. Baldrick’s events happen throughout the year and in every part of the world. Each event is unique, but they’re all focused on one goal – curing childhood cancer. 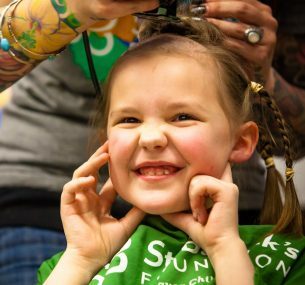 Through this partnership, proceeds from St. Baldrick’s head-shaving events throughout the United Kingdom stay in the United Kingdom to support childhood cancer research! Do you want to find out more or register your own event? Visit our partner website, email sbinfo@stbaldricks.org or call our Community Fundraising Co-ordinator on 020 7404 0808.